This page contains the system configuration requirements to properly run EZGenerator. 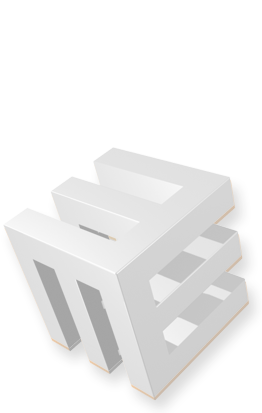 EZGenerator created sites will work on any web server. You need minimum PHP 5.0 installed on server, if you use any of the PHP pages and features (as Blog, Podcast, Photoblog, Calendar, Newsletter, Guestbook, Tell a friend, Request, Shop, Search, Counter, RSS Parser and Online Administration panel ). You also need minimum MySQL 4.1, if you have switched project to MySQL and use any of the PHP driven pages and features. Some PHP pages and features use mailing, so make sure your server mailing option is properly set. Check with your host provider which method you have to use for sending emails (MAIL or SMTP). If MAIL is used, ask him if mail settings are properly set in php.ini and if you need to set any additional settings as Sendmail From and Return Path. If yes, simply go to Project Settings >> PHP settings and set administrator email address in Return Path, Sendmail From or in both. If SMTP is used, ask him what are the SMTP settings and then go to Project Settings >> PHP settings, check Use SMTP to send PHP mail and fill the SMTP settings. If you notice any problems when logging, contact provider and ask him if sessions are well configured. If he provides you Session Save Path and asks you to set this by yourself, go to Project Settings >> PHP settings and set Session Save Path.